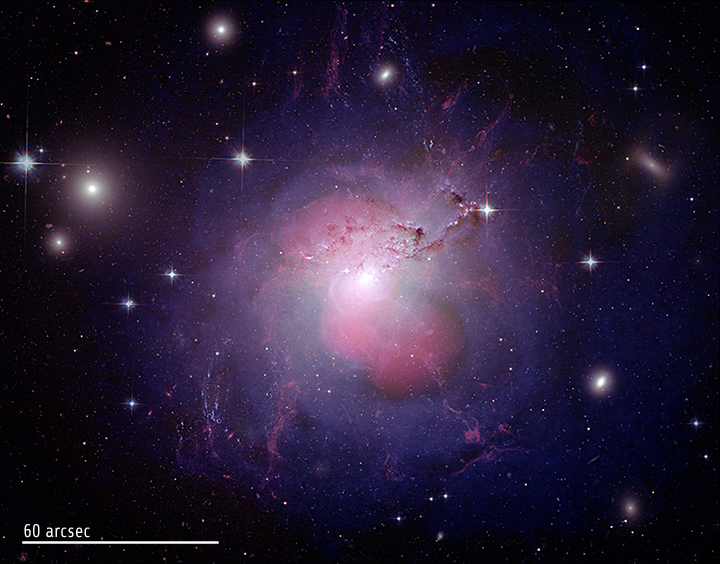 The active galaxy NGC 1275 is a well-known radio source (Perseus A) and a strong emitter of X-rays due to the presence of a black hole in the center of the galaxy. The behemoth also lies at the center of the cluster of galaxies known as the Perseus Cluster. 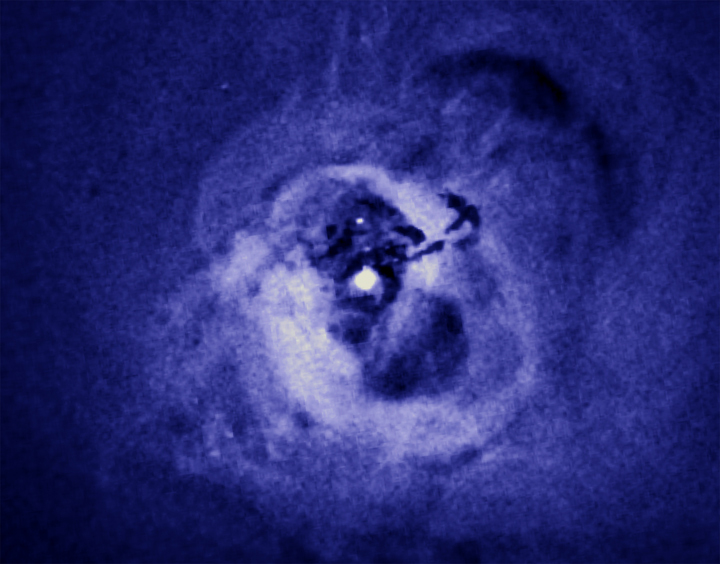 The Chandra data shows the supermassive black hole at the center of Perseus A, seen as a white point. This image is 350 thousand light years across at the distance of the Perseus cluster. The hot cluster gas is seen as diffuse emission, and two cavities in the cluster gas are visible on either side of the black hole. The Hubble Space Telescope has resolved giant but delicate filaments shaped by a strong magnetic field around the active galaxy NGC 1275. It is the most striking example of the influence of the immense tentacles of extragalactic magnetic fields. 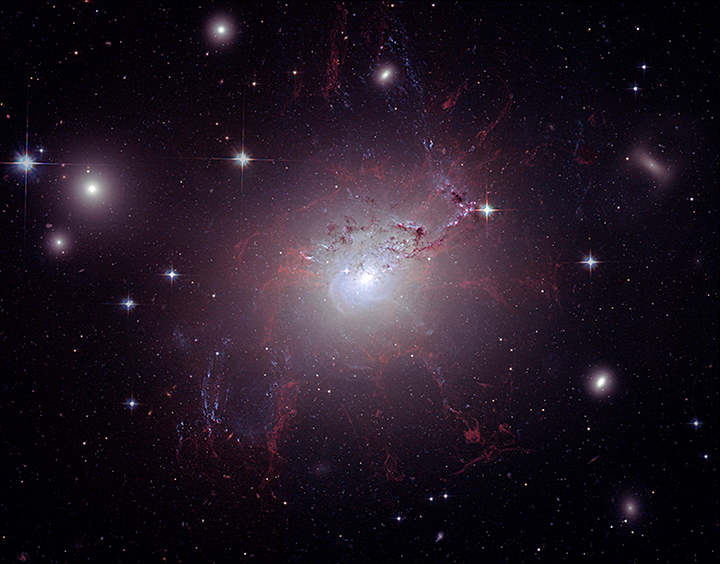 The galaxy was photographed in July and August 2006 with the Advanced Camera for Surveys in three color filters. 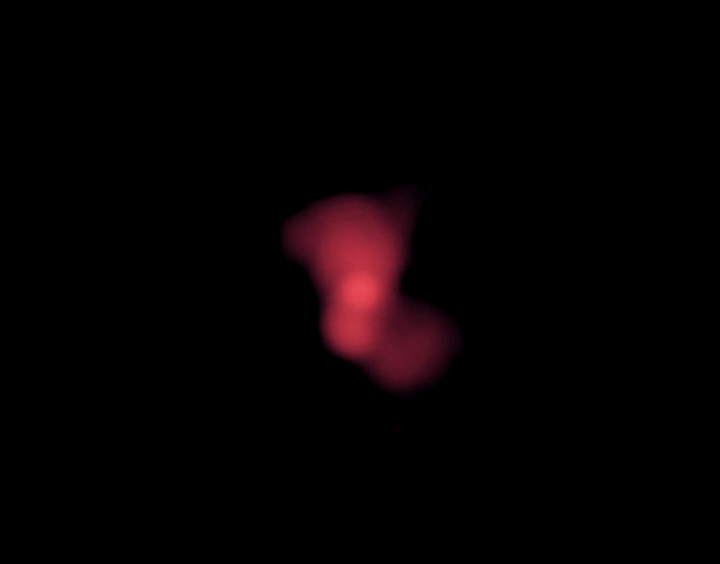 This 328 MHz radio image of the Perseus Cluster (inset box) was obtained on December 23, 1998 by NRAO's Very Large Array (VLA). The radio emission, tracing jets from the black hole, fills the X-ray cavities.